A strange fact about Lyon, the third city of France and its gastronomic capital is that it is still undiscovered. That’s because Lyon has still been unable to make to the tourist itineraries. But it’s only when you start exploring the city you’ll realize what you have been missing all these years. With a history dating back to the ancient Roman times, Lyon abounds in cultural treasures. It has France’s oldest ruins, elegant Renaissance holes and medieval quarters. In fact, Lyon has also earned itself a place in the UNESCO World Heritage list. 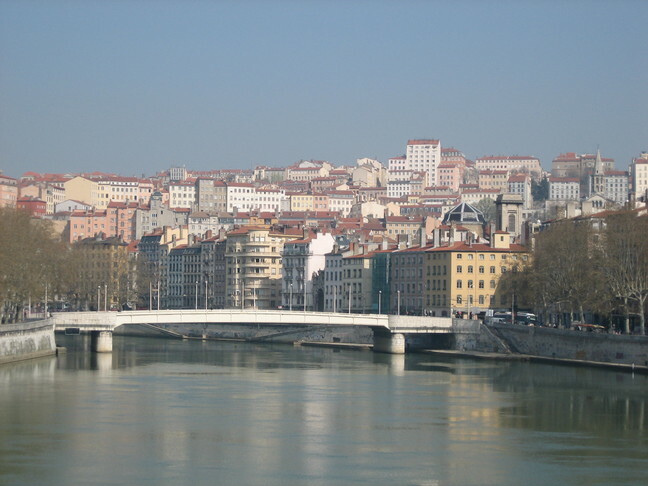 Even the neighborhoods along the Saone River and Rhone reflect the rich heritage of Lyon. Here are the top ten attractions of Lyon, according to our choice. Musée des Beaux Arts is one of the most impressive cultural heritages of Lyon. It’s considered the best museum in France after the Louvre. The museum contains one of the largest art collections in Europe, including sculpture, antiquities, paintings and decorative art from Egypt. It also has an impressive collection of modern art and paintings. But what sets Musee des Beaux Arts apart is the quality of art it houses. It contains masterpieces like “The Bathsheba Bathing” painting by Venonese, “The Ascension of Christ” by Perugino and “Adoration of the Magi” by Rubens. You can even pick a free audio guide here. And do not forget to take a meal or drink at the café restaurant in its delightful stone terrace. Lyon’s Presqu’ile District is a kind of land, an island within the river. The place is distinguished by its monumental town squares and beautiful architecture. But the chief attraction of this district is the fountain by F.A. Bartholdi. The stupendous work of art depicts the triumphal chariot of the Garonne River. The four sculpted horses, representing the four different rivers flowing into the ocean look hardworking. Palais de la Bourse et du Commerce and Eglise Saint-Bonaventure are other monumental edifice in the district. The finest square in Presqu’ile district is undoubtedly the Place Bellecour. 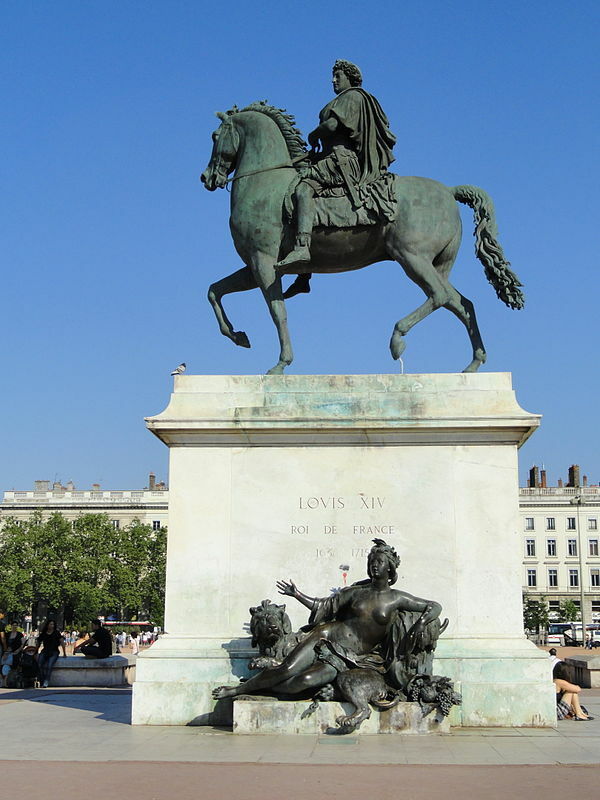 The centerpiece of the plaza, the equestrian statue of Louis XIV was created by the renowned sculptor F. Lemot. Place Carnot is another lively square of the district. 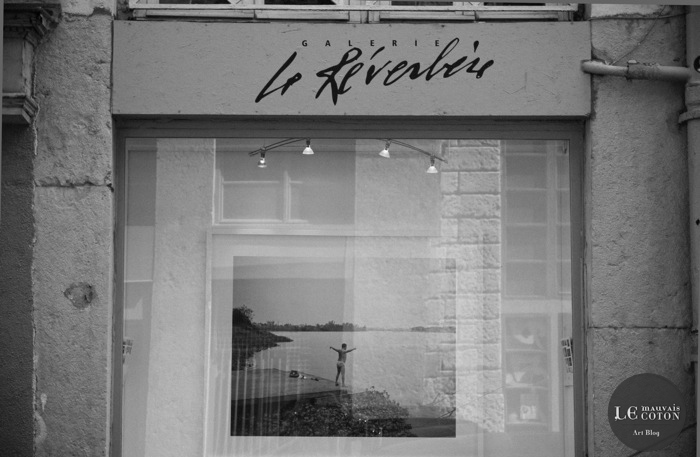 This innovative photograph gallery is another must visit place here. Located on the slopes of La Croix, the vast museum is home to art galleries of all types. In fact, it specializes in almost everything- from the sculpture to illustration to painting. Crowning the hilltop above the river Saone is Basilique Notre Dame de Fourvière, one of the chief attractions of Lyon. This 19th century French architecture is lined beautifully with intricate mosaics. 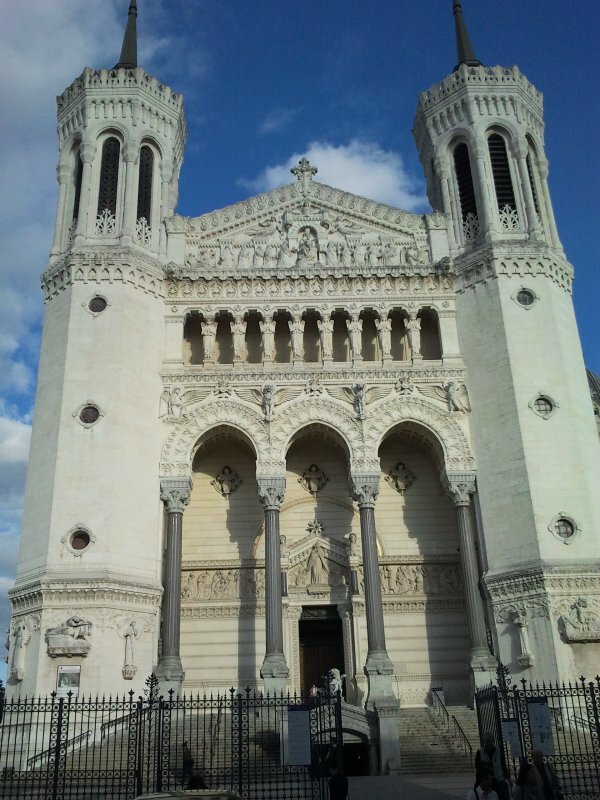 The Basilique Notre Dame de Fourvière was built in 1870 after the Franco-Prussian war to celebrate the victory of the “Christian values” over the social aspirations of Lyon and Paris communes. The basilica has a blend of Byzantine and Gothic styles with a beautiful décor. You must take out a few minutes to admire the paintings and mosaics of the basilica. The Esplanade de Fourviere on the left side of the basilica will give you panoramic views of the city of Lyon. The best part is that you can see Basilique Notre Dame de Fourvière from numerous places in the city. The Cathédrale St-Jean is a partly Romanesque cathedral built between the late 11th century and early 16th century. It has a blend of Romanesque with Late Gothic façade. 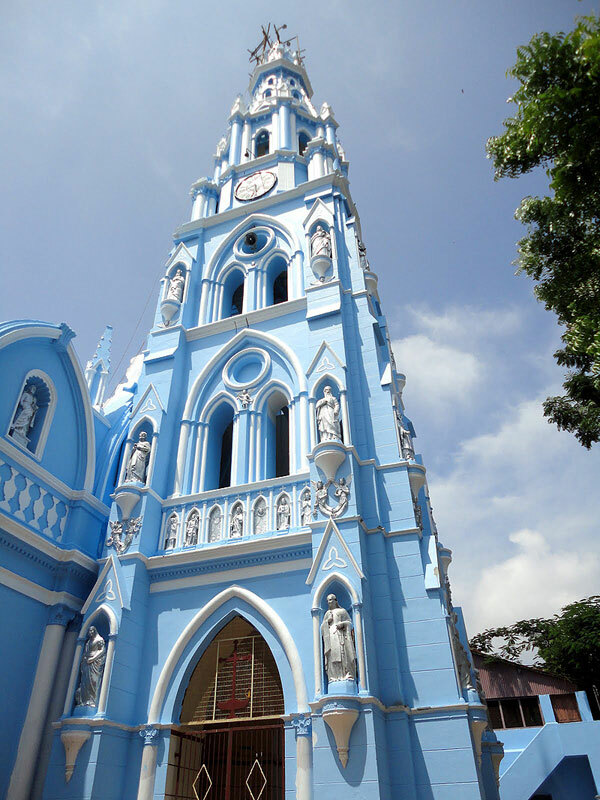 This stunning cathedral is decorated beautifully with 280 square medallions. But the highlight of the cathedral is the astronomical clock created by Nicholas Lippius in 1598. The cathedral is also famous for it’s the stained glass window that gives a kaleidoscope of colorful light. Cathédrale St-Jean was put off limits due to the restoration work, but must have resumed its regular chiming by now. If you want to get a good view of the cathedral, then go to the embankment near the Pont Bonaparte. Around two million years ago, the Romans built the Lugdunam city right on the slopes of Fourviere, fondly dubbed as the “hill of prayer”. Today, Fourviere, topped with Tour Metallique and basilica provide spectacular views of the city of Lyon and its two rivers. 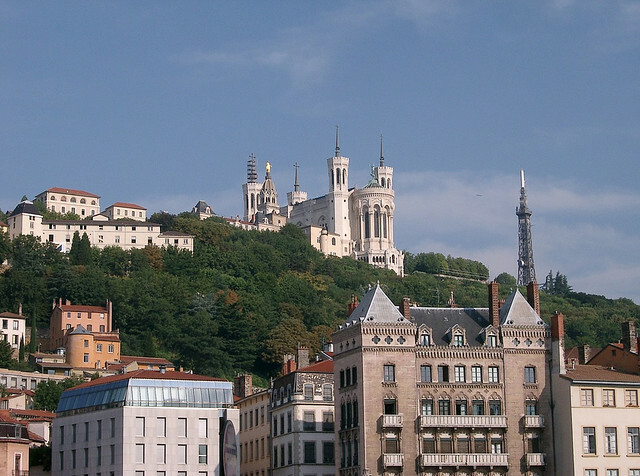 Fourviere Hill is the highest point in Lyon. There also a tower on Fourviere Hill, as attractive as the Eiffel Tower, but is actually a radio tower. 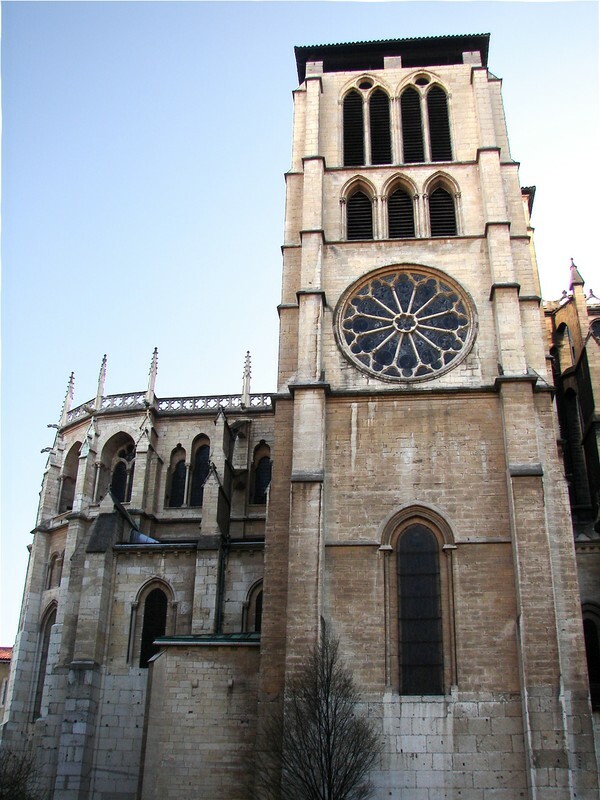 If you wish to see the tower up, close and personal, then take a 5-minute walk from the entrance of Basilica. And you’re here! Built in 1831, Opéra de Lyon, a Lyon’s neoclassical opera house is another place that we’d recommend you to check out on your trip to Lyon. Renowned French architect, Jean Nouvel modernized it in 1993 by adding a semi-cylindrical glass domed roof and expanding the size. On the northern side, you will find blades and boarders buzzing around the fountains of Louis Pradel. 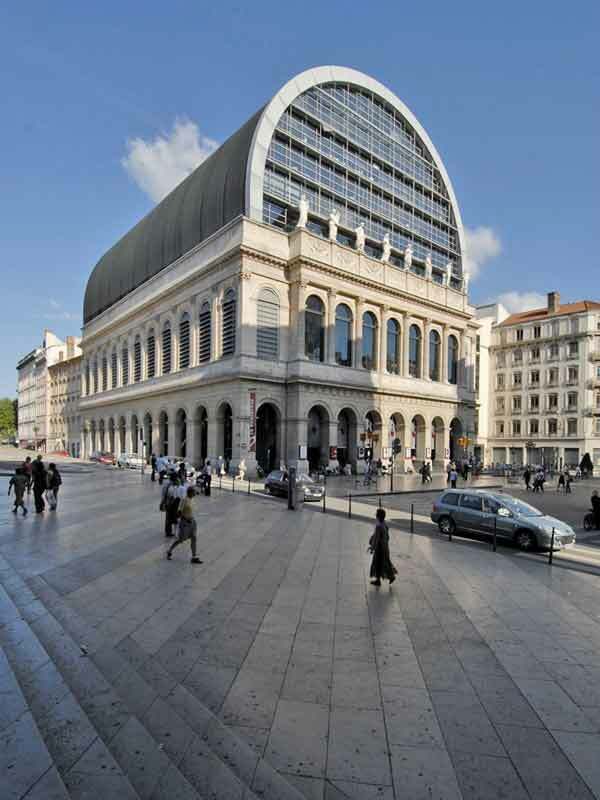 The Opera de Lyon hosts a wide variety of opera, from Carmen to Romeo and Juliet. Built on the hills of the Croix-Rousse hillside, Lyon’s neighborhood played a crucial center of weaving in the 19th century. The high gradient of the streets gave rise to some of the most charming curves and staircase. But the unique thing about Colline de la Croix-Rousse is the collection of ‘traboules’, the covered passageways functioning as public hallways through the private houses. These alleys were used by the silk weavers to transport their fabrics. When in Colline de la Croix-Rousse, we’d suggest you to wander around their neighborhood to discover the mysterious architecture of the hidden traboules and winding streets. Note- The traboules are open for commoners and tourists, but they have to be quiet, out of sheer respect for the residents. 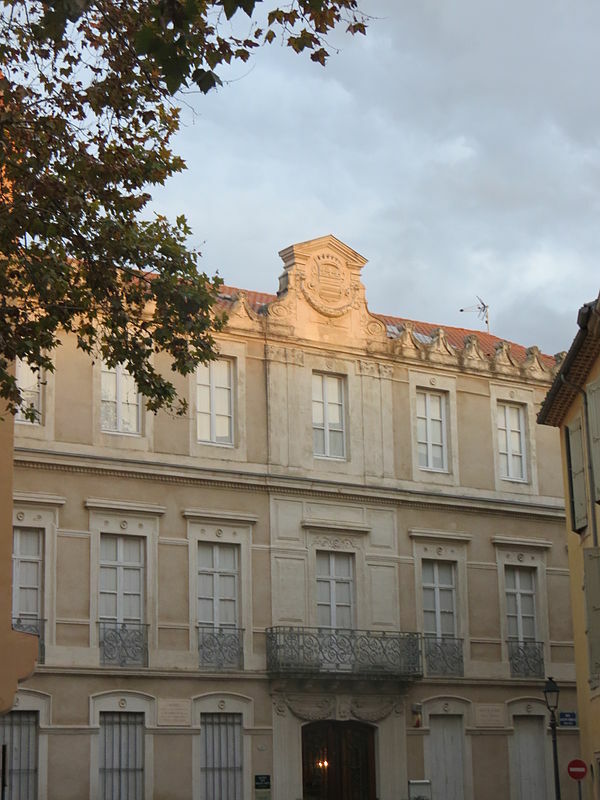 Another place to check out here is Maison des Canuts, a small museum dedicated to the art of creating silk. 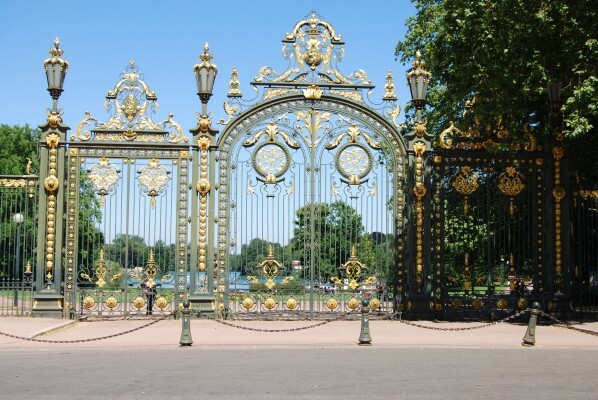 Lying in the center of Lyon and on the left back of the Rhone River, the expansive Parc de la Tête d’Or is the largest park in France. The park houses a zoo, a rose garden, a botanical garden and trust us, it’s simply stunning. 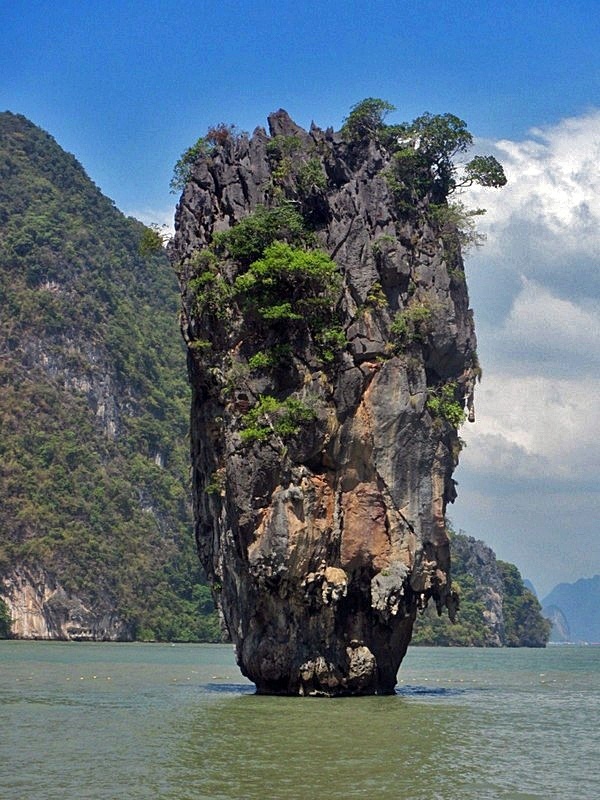 At the Petit Lace; you can even rent boats to sail on the tranquil waters. It will give you a blissful experience. The old-fashioned toy train and kids’ pony rides are other attractions of this place. Your little ones are sure to have a great time here. 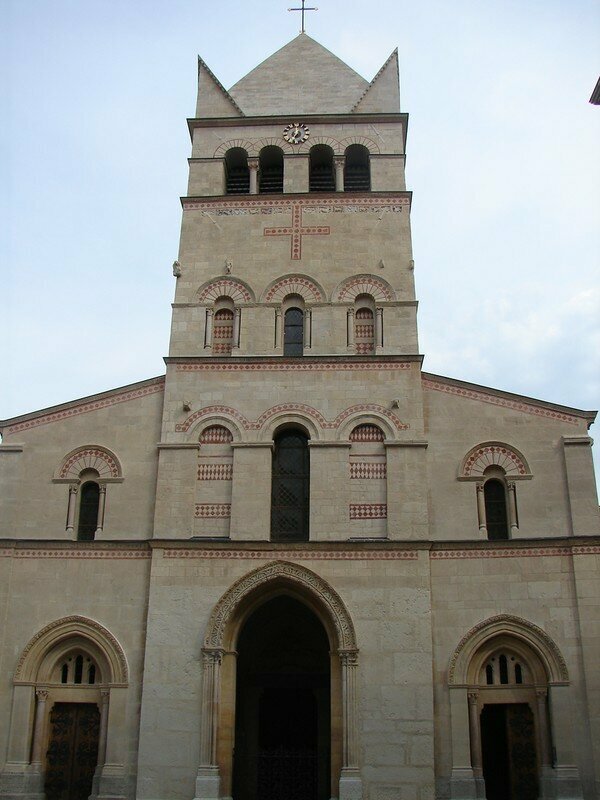 Abbaye Saint-Martin d’Ainay, the oldest church in Lyon, was built in the 11th century on the site of a 4th century Roman temple. The Abbey church originally belonged to the Benedictine abbey founded in the 6th century. The Abbaye Saint-Martin d’Ainay is truly one of the beautiful examples of the Romanesque architecture. It contains four columns, 19th century gilded paintings by Hippolyte Flandrin and 12th century mosaic pavement. We hope our article on ten best attractions in Lyon help you make the most of your trip. If you have any doubts or suggestions related to the article then please leave us a comment below.